Selling items on eBay and other online auction Web sites has become a very popular way to get rid of unwanted household stuff, as well as a way to turn a little profit. Many users have even started full-time businesses auctioning merchandise on the Web. But like any business venture, selling items in the virtual world has tax implications that are all too real. From a tax standpoint, casual selling on eBay is essentially the same as holding a garage sale. If you sell an item for less than you paid for it, you cannot deduct the loss. When you sell something for a profit, however, you must report it on your tax return. Long-term gains on the sale of collectibles, such as artwork, antiques, or rare coins, are taxed by as much as 28%. Profit is the difference between the selling price and your “basis” in the item. In most cases, basis is simply the amount you paid for it. Inherited items generally have a basis equal to their fair market value at the time of receipt. If the basis cannot be documented, it becomes zero, and you pay tax on the entire selling price. Online selling activity can reach the point where it is deemed to be a business venture. Status as a for-profit eBay business versus a casual online seller is not clearly defined. Factors considered by the IRS include the amount of time you spend selling online and whether you conduct yourself like other self-employed business owners, such as keeping accounting records and advertising your services. 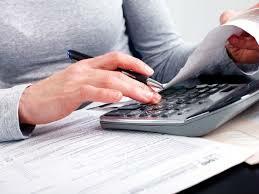 The good news is that if you are treated as a business, you can deduct expenses related to your selling activity. The downside to business status is that profits from selling online may be subject to self-employment tax. What’s more, depending on where you live, you may have to deal with sales taxes. Taxpayers who operate like a business, but rarely show a profit, may be treated as hobbyists. In this scenario, losses can only be deducted to the extent of gains. Whether you are an infrequent user of online auction sites, or an all-out eBay business owner, you cannot afford to ignore the tax implications of selling online. For the details you need to avoid tax problems, call our office today.